David Nash, GM Nutrition & Quality Equine Nutritionist BARASTOC (Ridley) Over the last few months of winter, a common question I have been asked by many people is; how do I gain condition or weight on my horse? They will diligently sent me their current diet wondering why their horse is not gaining weight. To answer this simply (very), it is a matter of calories. They simply are not being fed enough! You will need to feed your horse more! Many owners are feeding just enough or not quite enough energy to maintain their horses’ condition in their current state let alone gain weight. To calculate the energy requirements of the horse we will use a few basic equations that will help you estimate the amount of energy your horse requires and also then calculate how much additional feed / energy your horse will require to gain weight. Getting the calculations right There are a few equations we can use but we will use the most basic ones from the NRC (National Research Council) to keep it simple. Remember these are only a guide as horses have different metabolisms and are under different environmental conditions. As always I would suggest obtaining advice from your nutritionist or veterinarian. Equation for Maintenance Energy Requirements per day DE(Digestible Energy) = ((1.4 + 0.03BW(kg)) x 4.185) MJ BW = Bodyweight eg(500kg) Example: DE = ((1.4 + 0.03 x 500kg)) x 4.185) DE = 68.63MJ of energy per day This is the amount of energy in Megajoules (MJ) (unit of energy) an average healthy 500kg horse needs to maintain its condition. If we increase its exercise or work rate we will need to multiply our Maintenance Energy Requirement by a factor as seen below. Light Exercise 68.63 x 1.25 = 85.8 MJ / day Moderate Exercise 68.63 x 1.5 = 103 MJ / day Intense Exercise 68.63 x 2 = 137.25 MJ/ day Once we have established an approximate amount of energy we require just to maintain their current body weight if they are just idle in a paddock or performing in competition, we now need to work out how much energy we require to gain weight. A simple approximation is that for every kilogram of weight gain per day, I would double their maintenance energy requirement. That would mean to gain 1kg per day your idle horse would need to consume as much energy as a horse performing intense exercise. Increasing condition When looking to increase your horses’ condition I would suggest setting targets. 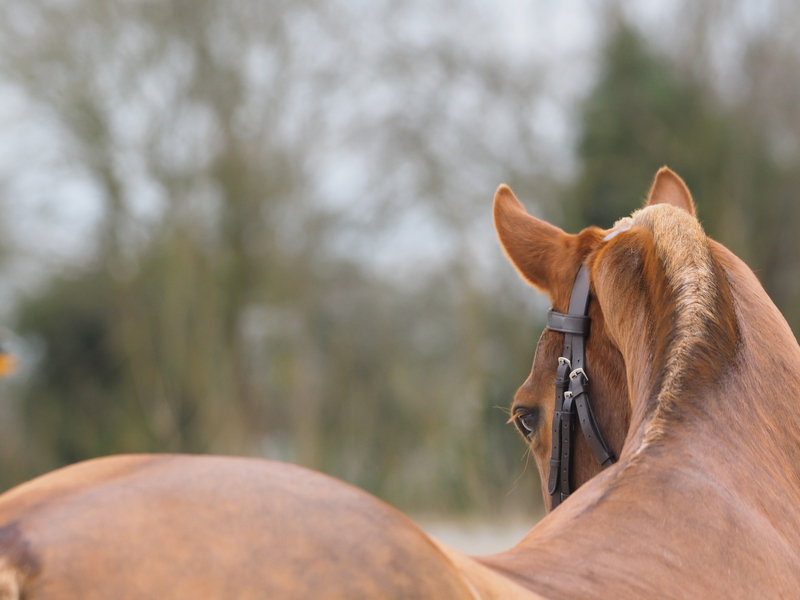 Slow and steady is the key to ensure you do not cause dramatic changes to your horses’ digestive bacterial population as this can cause many problems which can negatively impact the health of your horse. It would be best to weigh your horse with scales or use weight tapes to estimate your horses’ weight and compare this to a condition score chart to determine what your horse currently looks like versus your desired result. The link below is an excellent article from the Department of Agriculture on how to condition score your horse with approximate weights for horses various heights and condition scores. http://agriculture.vic.gov.au/agriculture/livestock/horses/management-for-horse-owners/condition-scoring-and-weight-estimation Knowing your pasture Once we have set a target and determined our energy requirements you will need to know the energy level of your feed your horses consumes. Obviously pasture is the first nutrient source we can look at. Your pasture nutrients change with the growing season so it is wise if you are large enough to test your pasture during the four seasons to know what nutrients your pasture is providing to your horse. If not consult your nutritionist or Department of Agriculture extension officer or agronomist whom will be able to provide you with a reasonable accurate estimate. Commercial supplementary feeds should have the energy levels on the back of their bag along with many other important nutrients. The internet also is a good approximation for nutrient levels of raw materials such as oats and roughages such as hay and chaff. Tailoring the diet When designing a diet you need to ensure your horse is capable of consuming this amount of feed. Horses are capable of consuming 2.5-3% of their bodyweight per day in dry matter form. This means our 500kg horse can consume up to 15kg of feed per day. If our pasture is running at 12MJ/kg at this time of year (spring) our horse will only need to eat 11.5kg of pasture to gain 1kg of bodyweight per day. However if we have poor pasture quality in summer and the energy level is around 6MJ/Kg, your horse will need to eat nearly 23kg of feed per day. Remember your horse can only consume approximately 15kg per day so there is no way with just pasture your horse can gain significant weight. You will then need to add energy dense feeds like supplementary commercial feeds, fats and grains to supplement the natural feed sources available. I cannot express this enough that this example of gaining weight is a very simplified explanation of the role and the amount energy plays in assisting the horse maintain and gain weight. It does not take into account the type of energy (carbohydrates, fats etc) and how horses react or the requirement of protein and other nutrients and the role they play. It is meant to show people how much feed is actually required to gain weight on an average horse. An additional cup or two of a secret potion feed will not do the job effectively. A final note is that all other nutrients are extremely important in developing a healthy functional diet thus I would strongly suggest when formulating a diet consult a nutritionist to ensure your target diets are safe and balanced.